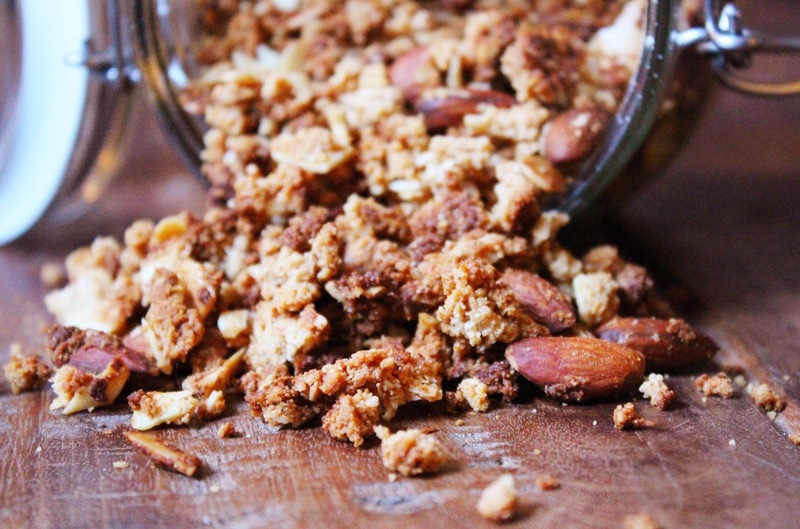 I probably had you at almond butter granola but this really is just as good as it sounds. 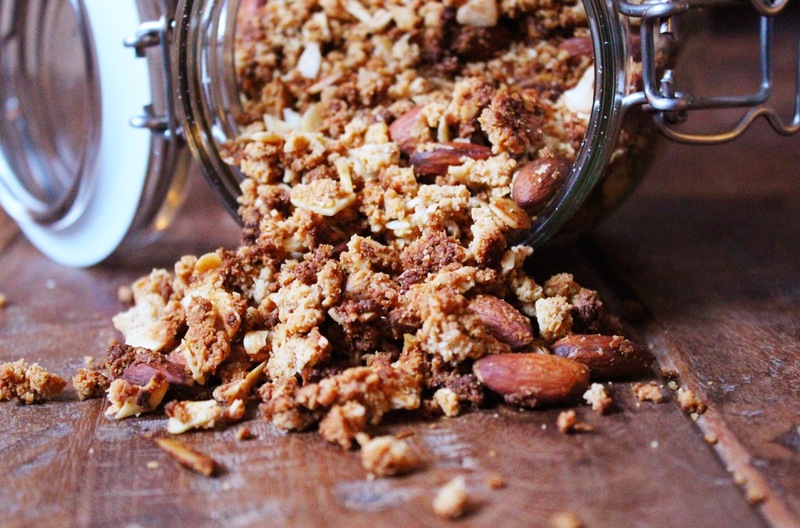 Like my other grain free granolas, you can add in any other nuts, seeds and dried fruit you like, but with this flavour I prefer to keep it simple so you can really taste the almond buttery goodness. Each serving is packed with Vitamin E, magnesium and good fats from all of the gorgeous almonds. Combine the melted coconut oil, sweetener and almond butter in a bowl. The warm coconut oil should melt the almond butter enough to make a gorgeous smooth mixture. Gradually add the wet mixture to the dry ingredients, mixing thoroughly. Spread the mixture out on a baking tray lined with baking paper. Bake at 180’C for about 20 minutes, tossing once or twice throughout so that it browns evenly. When it’s a nice golden brown it’s ready. Let it cool completely on a wire rack before breaking it up with a spatula into yummy clusters. Conversion into grams is different for each ingredient but there are lots of sites online that you can use or theres a great app called Kitchen Pro (it doesn’t have all ingredients but you can select things with a similar texture!). I always use cups, which I really recommend as it’s much easier to visualize amounts and adjust things if needed! Hope that helps!